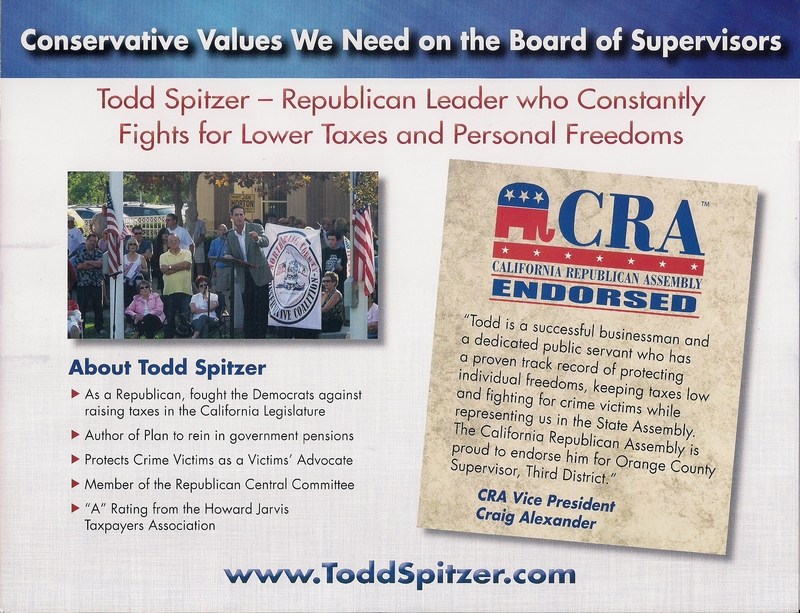 Todd Spitzer sent out a piece to poll voters encouraging them to get out and vote on election day. I believe that this piece could have been a bit better and you will see why in a couple of hours when I post the John Campbell mailer that also arrived. Spitzer appears to have this election in the bag, but it never hurts to be sure of yourself through mailing to a broad universe. 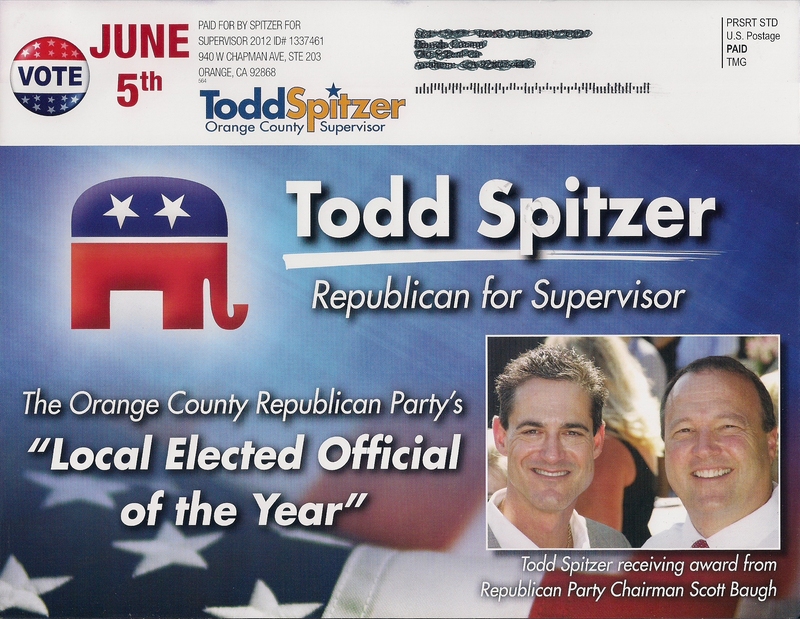 This entry was posted on June 3, 2012 at 10:07 AM	and is filed under 3rd Supervisorial District, Mail. Tagged: Todd Spitzer. You can follow any responses to this entry through the RSS 2.0 feed. You can leave a response, or trackback from your own site. What does “Local elected Official of the year” mean?? Are voters really stupid enough to elect this guy? Just keep spending that union money Todd!